Our curriculum includes a practice of Wordfast translation tools, courtesy of Wordfast LLC and Yves Champollion. Our curriculum includes a practice of <a href="https://www.wordfast.com">Wordfast </a> translation tools, courtesy of Wordfast LLC and <a href="http://www.champollion.net">Yves Champollion</a>. Our organization uses Wordfast technology for its translation needs, courtesy of Wordfast LLC and Yves Champollion. Our organization uses&nbsp;<a href="https://www.wordfast.com/" target="_blank">Wordfast</a>&nbsp;technology for its translation needs, courtesy of Wordfast LLC and <a class="wflink" href="http://www.champollion.net/" target="_blank">Yves Champollion</a>. 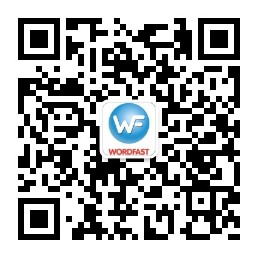 If you wish to display the Wordfast logo on your website, you can download it here. * No registered mail please, only regular postage. Include a return email address so we can contact you immediately. The request must be on official letterhead with seal or stamp, be signed by an executive (Professor, Dean, Director, etc.). The letter should give an approximate number of licenses required. The letter must allow Mr. Yves Champollion to mention, as done in the Wordfast website and/or literature, that said learning institution is using Wordfast (a logo and/or a link to the institution’s website may be used). Further inquiries: write to us.